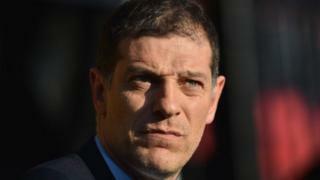 West Ham boss Slaven Bilic admits that after the first 10 minutes of their game at Watford his side were always second best and they deserved to lose 2-0. In-form striker Odion Ighalo netted both goals for Watford either side of half-time while the Hammers had James Collins sent off with six minutes remaining. This was West Ham's first league defeat at Vicarage Road since April 1985, ending an 11-game unbeaten run.